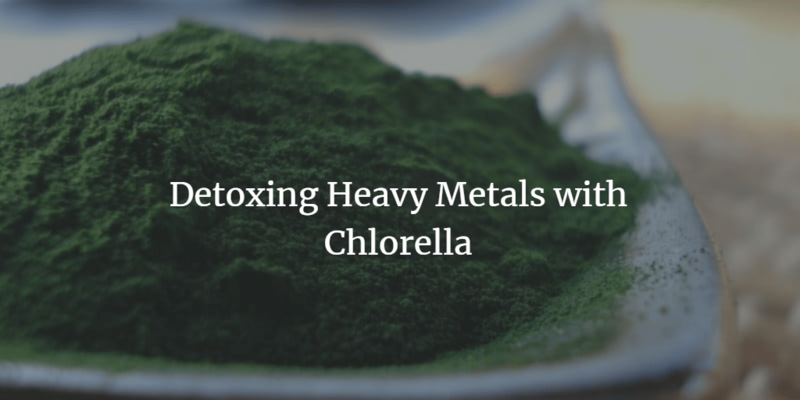 How Does Chlorella Help With Heavy Metal Detoxification? With heavy metal toxicity now endemic, chlorella is a plant with a special place to play in today’s diet. Mercury, arsenic, lead and cadmium and just some of the metals found in our food and water sources, and which make their way into our systems wreaking havoc on immunity and quality of life. Many scientists now even believe that autism, increasing in our society by the year, is a condition closely related to the accretion of heavy metals in young babies. Of all the plant medicines capable of reducing heavy metal toxicity in the body, few offer such promise as chlorella supplements. This article will detail how chlorella can aid the body in eradicating heavy metal load, and how best to use it to that end. Chelating is a scientific process in which molecules are bonded to metal ions to form a chelate. In detoxification, the aim is to introduce an element to the body which can extract the metals, safely carrying them out of the body. The aim is to remove the metals that have built up in the body, without simply mobilising them and moving them to another part of the system. What is the Dosage of chlorella required for heavy metal detox? Low Dose – 1g three times daily. Medium Dose – 3-10grams per day, which can be taken either in one dose or divided into 3. Chelating Dose 20-30grams per day. Many naturopaths recommend combining chlorella with another powerful superfood plant: cilantro, known as coriander leaf in the European market. Like chlorella, cilantro is a chelating agent, meaning it can bind to heavy metals buried deep within bodily tissues. But it’s most powerful gift is as a mobiliser – releasing those toxins that have been deeply locked away and wreaking havoc with your immunity. Once the cilantro mobilises the heavy metals, the chlorella is then able to bind with the aluminium, lead, mercury or other harmful agent and flush it from the body. What are the Detox symptoms of chlorella? What’s the best Chlorella for Heavy Metal Detox?